These playful Boho Multi Coloured LED Pom Pom Fairy Lights are ideal for creating a bohemian mood in a home, shop, cafe, office or workplace. Very versatile, the garland lights can be used for parties or special events to brighten up any room and would be perfect for use as Christmas lighting. 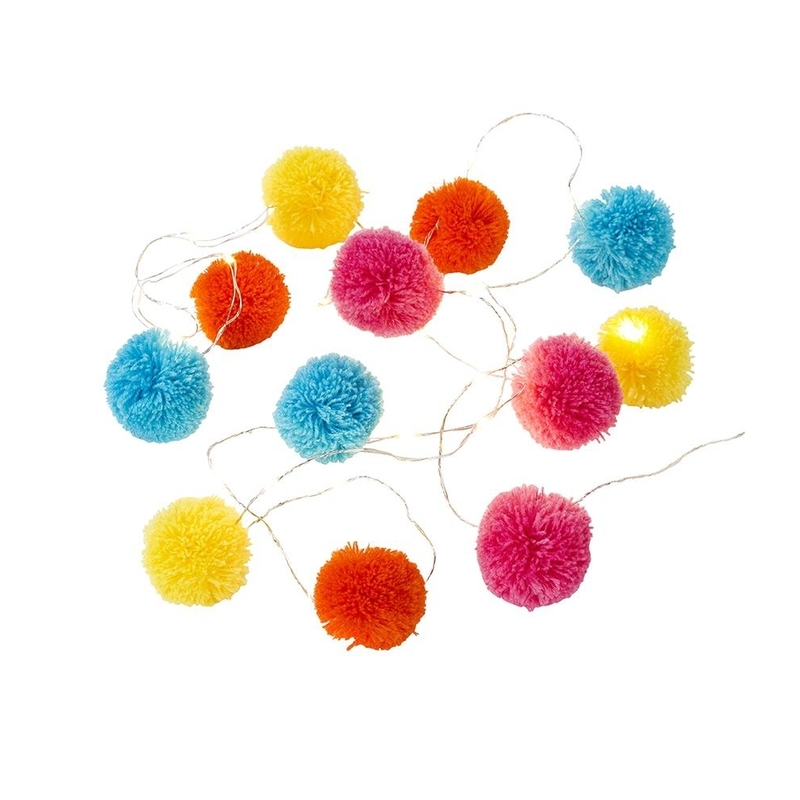 The super soft and fluffy pom pom lights are battery operated, making them portable to use wherever you wish.